– Very large 40 x 55 x 22 cm backpack. Plenty of interior room for carrying smaller drones, controllers, batteries, FPV goggles, or whatever other accessories that you'd like to take along. 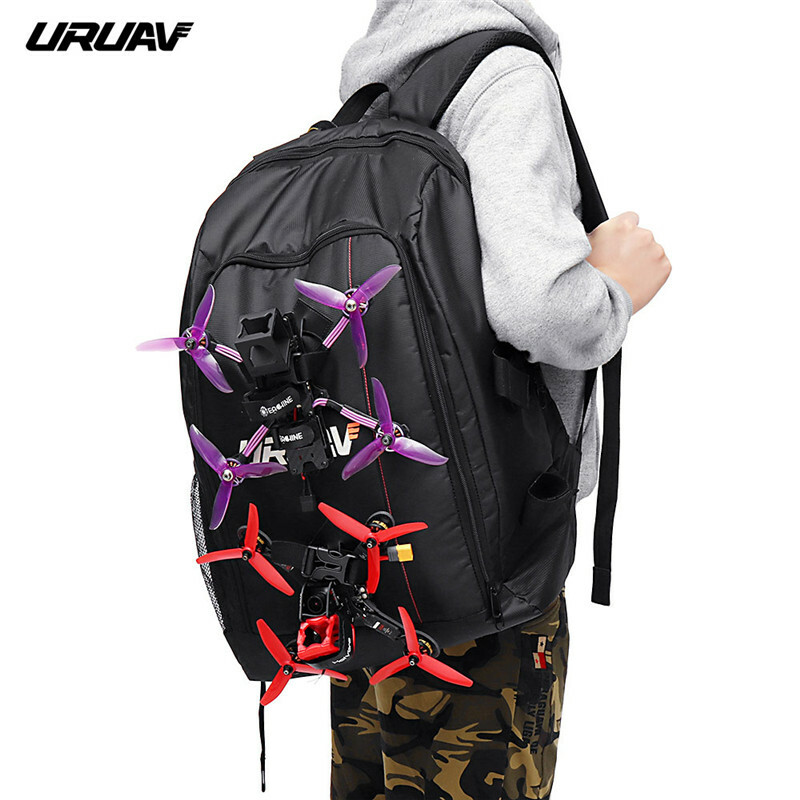 – External straps for attaching and carrying your larger drones. – Four velcro separators for customized interior compartmenting. – Mesh compartments and mesh bag for carrying even more accessories. – Nice cushiony back padding. – Water resistant rain cover. I use a large plastic case! I would need 5 or 6 of those packs for a day out flying. 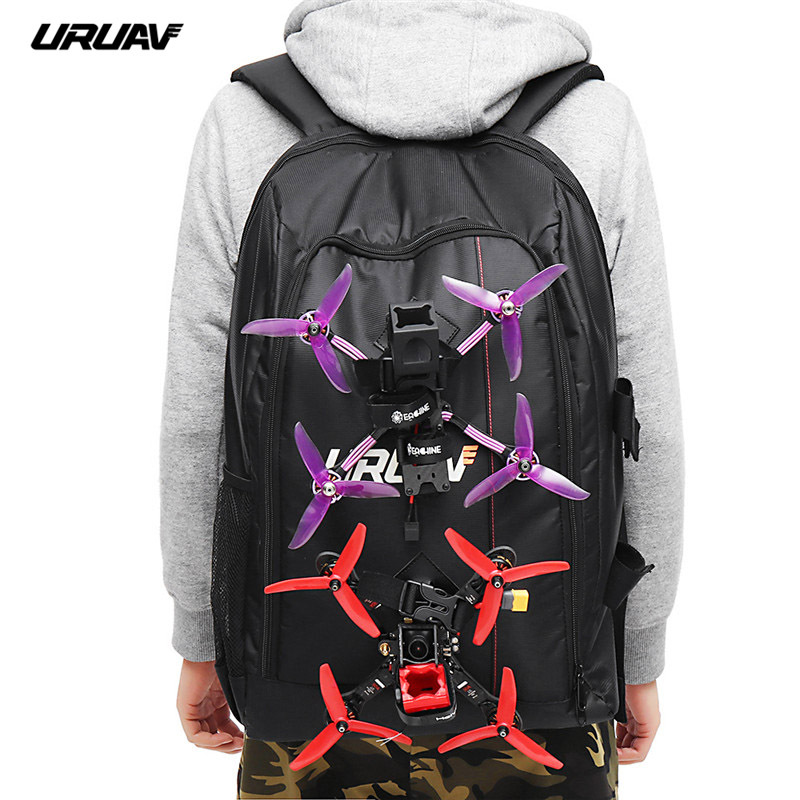 Could you fit a Bugs 5W drone inside the backpack? Nice bag, great price….. TFS! Good review as always. Nice pack, with lots of room.